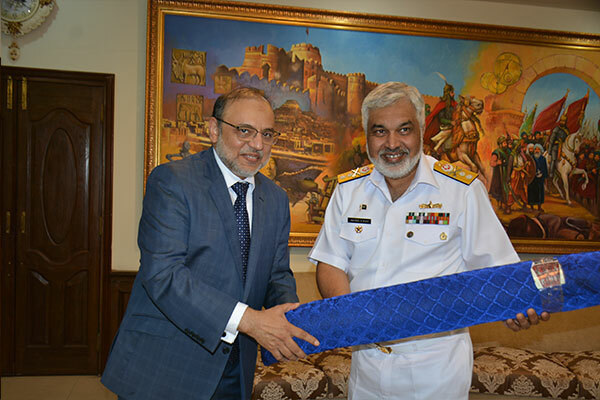 Rear Admiral Naveed Ahmed Rizvi, HI (M), Commandant Pakistan Navy War College, Lahore, hosted a luncheon for Dr Hasan Sohaib Murad, Chairman, Board of Governors, to discuss opportunities of mutual interest in maritime studies at UMT. 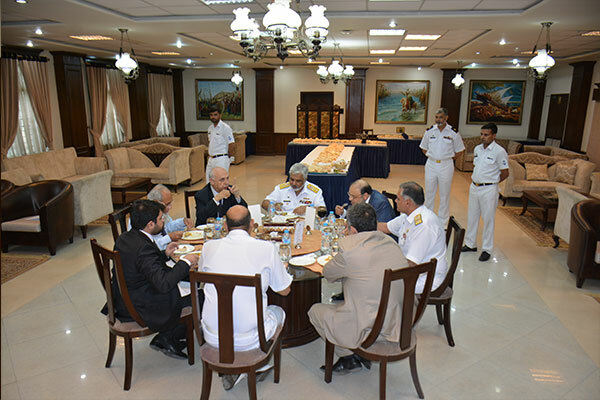 The meeting was graced by top brass of PNWC and Lt. Gen (Retd.) Javed Hassan, HI (M), Chief Advisor to Chairman BoG, Dr Muhammad Shoaib Pervez, Chairman, Department of Political Science UMT and Ibrahim Qazi, Director, Office of Chairman, BoG, UMT. 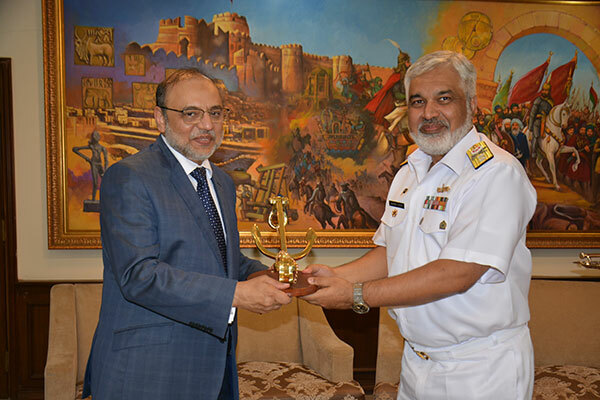 Dr Murad paid glorious tributes to the tremendous contribution of Pakistan Navy for imparting quality education to its officers and its services to defend the shores of our beloved homeland. 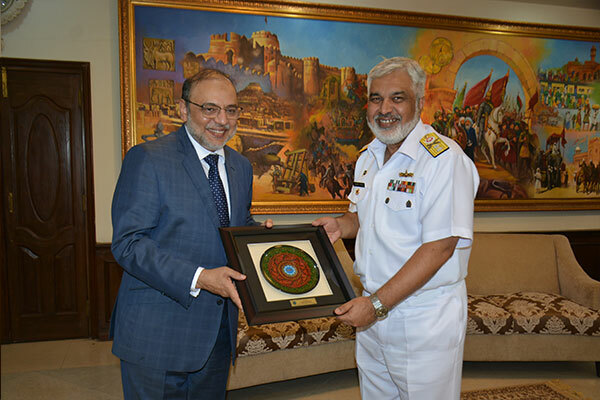 Commandant PNWC reaffirmed the resolve of Pakistan Navy to lend its exclusive cooperation to UMT in the faculty of maritime studies. Dr Murad has assigned the initiative to Lt. Gen. (Retd.) Javed Hassan to plan and launch maritime studies in UMT.